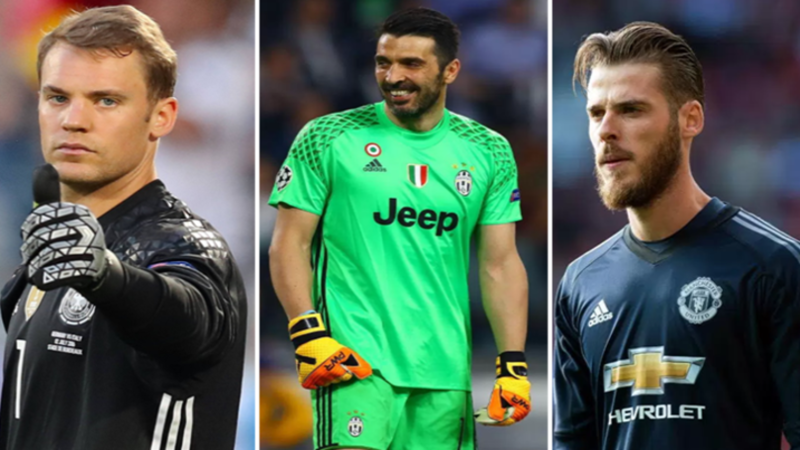 In news that is sure to generate more than a fair amount of debate, the top goalkeeper in the world has been voted for and there is no place in the top five for Manchester United's David De Gea. The Spaniard, who unseated the great Iker Casillas as Spain's number one and has been on Real Madrid's radar for the past three seasons, has become arguably Manchester United's most important player since Sir Alex Ferguson retired, winning the club's Player Of The Year award three years in a row, between 2014-2016. But despite his world class form over the past few seasons, De Gea has been overlooked by France Football, who named the top five stoppers in world football, today. The French publication, who also run the Ballon d'Or, had five former goalkeepers, including ex-Valencia stopper Santiago Canizares and Italy international Francesco Toldo, judge the current crop of custodians currently doing the business between the sticks. And the results were pretty surprising. OK, so Manuel Neuer finishing top of the pile isn't THAT surprising, but the Germany captain has been sidelined for most of this season with a broken foot, making just four appearances for Bayern Munich. Gianluigi Buffon, who recently emotionally called time on his international career, follows behind in second, with Chelsea's Thibaut Courtois, Tottenham captain Hugo Lloris and Atletico Madrid's Jan Oblak rounding out the top five in third, fourth and fifth places respectively. Given De Gea's imperious form over the last few years, it's baffling that the Spaniard has been left out of the top five altogether, with this past weekend's record breaking display against Arsenal, in which further proof of the former Atleti goalkeeper's ridiculous quality. What do you make of the list, though?